August 2008. Field work completed. February 2009. Draft report completed and sent for management response. February 2009. Management response received. March 2009. Final report completed. April 2009. 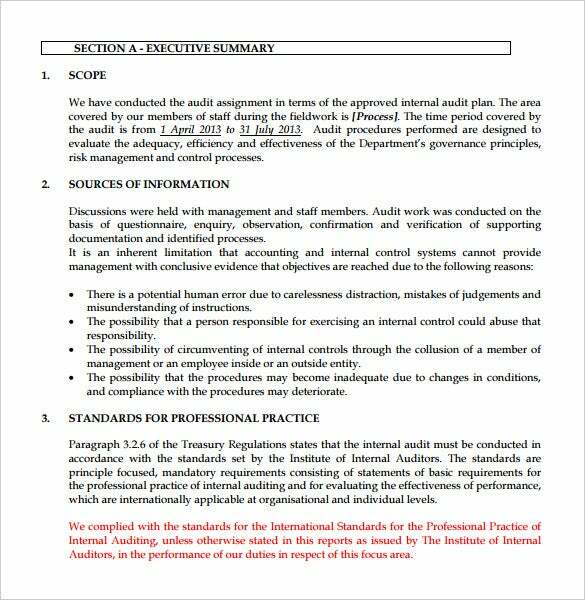 Report presented to the External Audit Advisory Committee. April 2009. Approved by the Deputy Minister. The audit evaluated the adequacy of controls and processes to achieve key business objectives as it related to cashiers receiving payments. Following are the business objectives and related control assessment (Satisfactory, Needs Improvement, Unsatisfactory) and a summary of good and weak controls noted in the audit. These templates are designed for use by auditors and were developed with the assistance of the Australian Auditing and Assurance Standards Board.